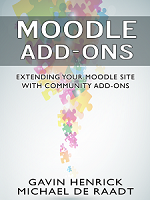 ← Bootstrap and Moodle and Tables oh my. Following on from the previous post about Tables Bootstrap also lets you style links as buttons which can have a nice effect. Bootstrap and Moodle and Tables oh my.